The Haas 12,000-rpm, inline direct-drive spindle is coupled directly to the motor to reduce vibration, heat and noise. 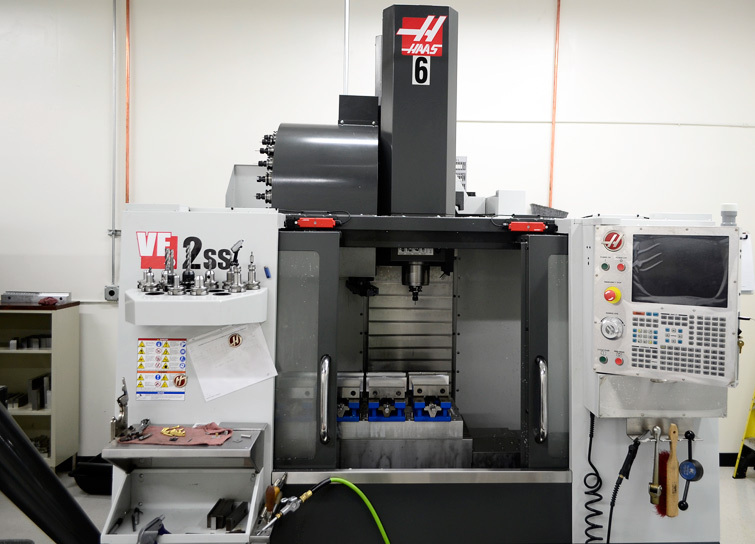 The 30 hp vector drive system provides plenty of low-end torque, as well as the speed necessary for high- speed machining operations in our cnc shop. The fast rapids and quick tool changes of the SS machines increase throughput and reduce cycles times for economical high-volume production. The generous size of the T-slot tables easily accommodates multiple fixtures.